Axl Rose performed his sixth concert with AC/DC on the Rock Or Bust tour in Prague, Czech Republic on May 22 and video from the event has surfaced. The show at the city’s Letnany Airport featured an expanded 24-song set that included two AC/DC live rarities: “Dog Eat Dog” from and 1977’s “Let There Be Rock” album (first time since 2009) and “Touch Too Much” from ”Highway To Hell” – making its first appearance since 1979. Rose continues to perform with the help of a walking boot as he recovers from a broken foot suffered during Guns N’ Roses’ April 1 club gig at The Troubadour in Los Angeles. The singer is currently at center stage in place of Brian Johnson, who stepped aside for live performances in March on the advice of doctors in order to prevent further damage to his hearing. 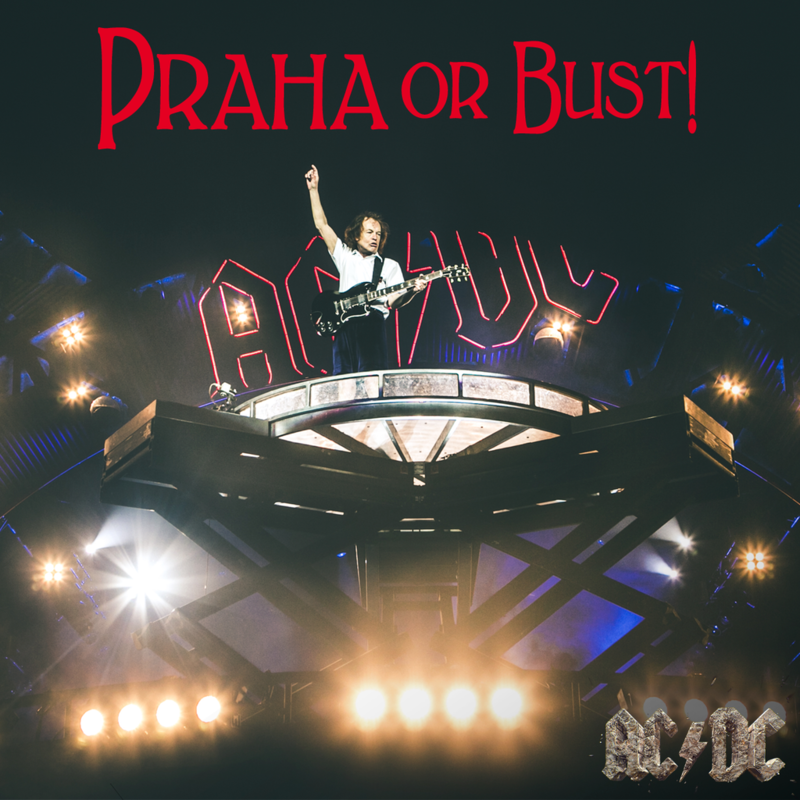 The Rock Or Bust tour marks the return of drummer Chris Slade and guitarist Stevie Young to the lineup following the retirement of founder Malcolm Young and a series of legal issues faced by longtime member Phil Rudd. The band will next perform at Volksparkstadion in Hamburg, Germany on May 26.